Experience high-end racing with Carrera power - high-speed performance and extended driving periods are guaranteed by modern, top quality engineering. 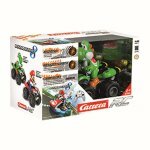 Featuring full-power acceleration, precise steering, and turbo-charged driving with genuine RC power. 2.4 GHz digital frequency control - frequency independence enables operation of up to 16 vehicles simultaneously by eliminating unwanted radio interference from other controllers. No interference means an uninterrupted and Frustration-Free experience! No charging means, more racing - when your batteries die, simply replace them with new ones and you're good to go! 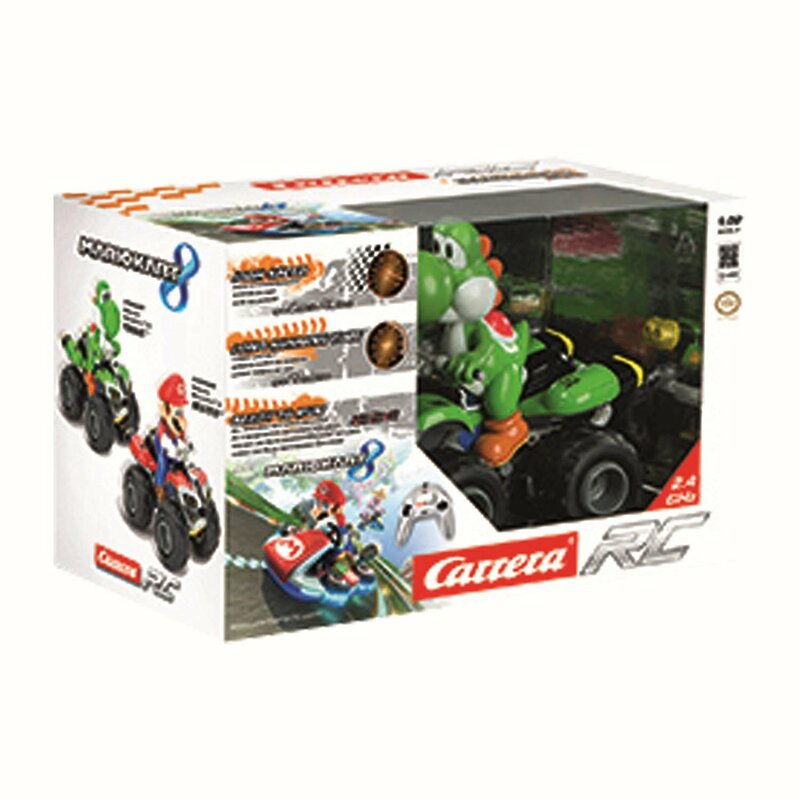 Officially licensed - Mario Kart quad racer, Yoshi character is Part of the Carrera RC Mario Kart family of official licensed Nintendo remote control products. Realistic features and sounds - the 1: 20 scale vehicle features realistic design and life-like characteristics. Pneumatic tires and full-spring supsension provides greater control and a better overall driving experience.